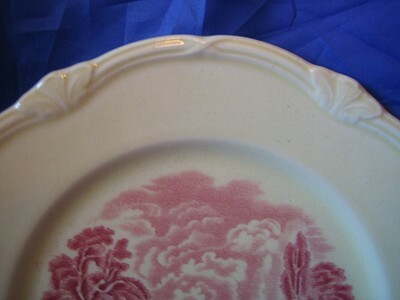 Click the button below to add the Red Pink OLD Shabby Toile River Bridge Plate M to your wish list. 8 ". Shabby with edge chips. Fantastic old pattern. 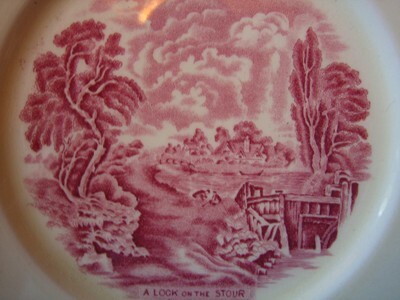 Great toile river bridge 2 men scene. Nice raised edge design. Made in Staffordshire England. Old. I have lots more of this set.